I like Constable’s watercolor studies. I copied this one of Londpn off in the distance mostly because the sky was interesting. 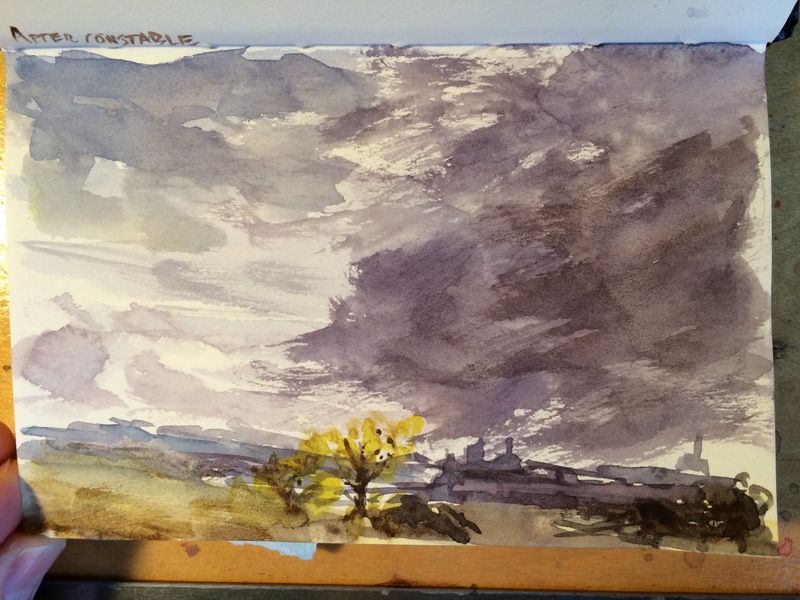 I let my brush dry out as I swiped to capture the energy in the clouds. These quick 4×6 studies are a lot of fun.